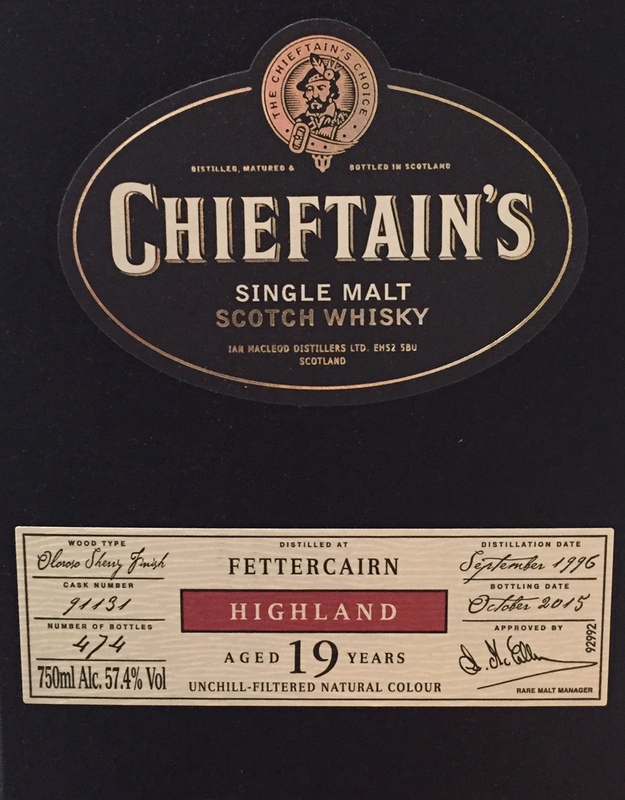 A multi-award-winning collection of extremely rare malts, some from closed or mothballed distilleries, each bottling is fit for a King, a Leader or in the Celtic world, a Chieftain. The world's most heavily peated single malt has had a brobdingnagian effect on a world aching for a challenge to comfortable convention. 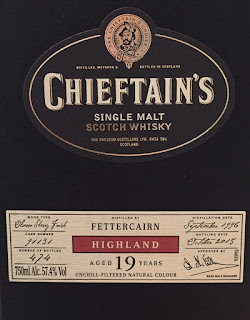 An esoteric series of numbered, experimental, mostly very limited releases, has fatally undermined the assumption that the quality of Scotch whisky is simply a function of its age. Clinging to the hill high above Port Charlotte on the Rhinns of Islay is the enigma that is Octomore Farm, for Octomore too once housed a distillery. Even older than the beautiful village it overlooks, Octomore is a throwback to the days of fierce independence, when self sufficiency was the only option, and the legality of distillation itself still a revolutionary concept. Nose: Both candied and stewed fruits, bubble gum. Palate: Vanilla cheesecake, caramel shortbread, victoria sponge. Finish: Short and dry - coco butter. Distillery Note: Traditionally Glen Grant produces a light style of whisky, despite having a relatively short fermentation time. The distillery was the first distillery to have electric light when it was installed in 1861. Nose: Fragrant; lavender, apple strudel, pear drops. Palate: Poached pairs with vanilla ice cream, dried apricots. Finish: Short-medium finish, dry roasted nuts. Nose: Banana milkshake, lemon zest, marmalade, gooseberry. Palate: Light body, ginger, spice, malt, creme brulee. Finish: Medium dry finish with pepper and lemongrass. Distillery Note: Often wrongly described as being the only triple distilled whisky in Scotland however Hazelburn is also made using triple distillation. WM Cadenhead Ltd focuses on bottling only the finest whiskies in their natural state without the addition of coloring or altered by chill filtration. 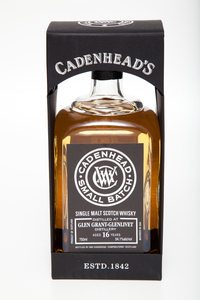 There will be two ranges of whiskies released by WM Cadenhead to appeal to all whisky drinkers; the first will be single cask, cask strength whiskies and the second will be a range of whiskeys bottled at 46% ABV which will be bottled in small batches between 1 and 3 casks per bottling. This bottle defines heritage; during prohibition, people made rye: it survived. The first batch of this rye was made in Chicago; eventually, production was moved to the Featherbone building, but the history of the spirit is important: lasting. Distiller Comments: In the summer of 2010, I spent a period of time training in Chicago at Koval Distillery (located in the Ravenswood neighborhood), learning the trade but also putting rye whiskey in barrels. That time was invaluable in terms of education, but it also allowed Journeyman Distillery the opportunity to have a wonderfully aged rye whiskey to bottle for opening day. Product Information: These days we distill our rye at our Three Oaks distillery using the same recipe we perfected back in Chicago. The 90-proof whiskey is made from a blend of Midwestern rye and wheat with just a touch of barley added to round out the flavor. The whiskey matures in new white oak barrels where it develops its signature flavor. Last Feather Rye is a fruit-forward whiskey that finishes with a gentle crescendo of spice and pepper from the rye. Bright, tangy acidity and firm tannins provide solid structure to the dried raspberry, red currant and black tea flavors. Layers of new leather and tobacco leaf echo through the mouthwatering finish of sweet spice and mineral. Drink now. 20,000 cases made. 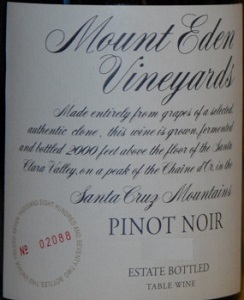 Great Pinot Noir from Mount Eden Estate! 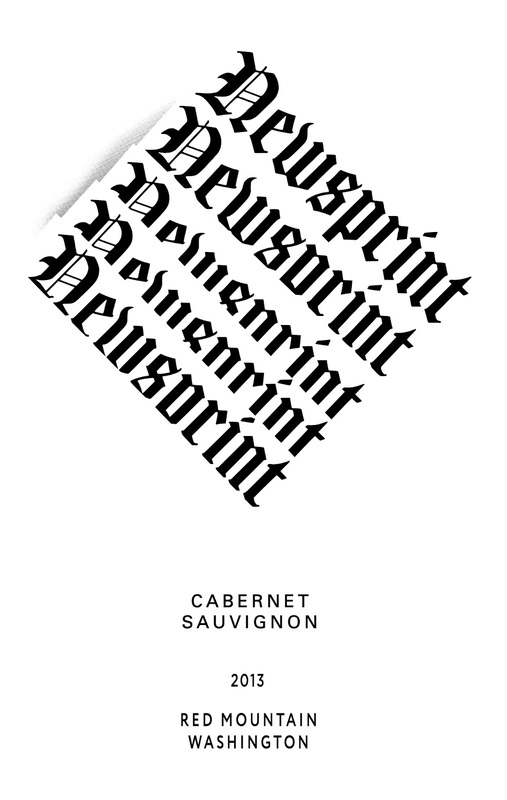 Our debut vintage of Newsprint Cabernet is a serious show- stopper! This wine features big and bright blueberry notes and hints of fresh herb on the nose. Swirl and take a deep sniff, you’ll get secondary notes of vanilla, black cherry, cassis and red currant. This wine has some serious body, but the soft tannins give it a lovely texture. There is some good acid here, keeping things super fresh. We taste a lot of wines, but we do not always find all of the wines. We listen to our customers. We kept getting special orders for this wine and figured we better try it. We did and now it is stacked on our floor. Grab some and see why so many people wanted this wine. The Pinot Noir grapes for this wine were sourced from two of our estate vineyards in the cool climate zone of Monterey County, a part of California’s renowned Central Coast. The brisk conditions and cool temperatures of this area present ideal growing conditions for the temperamental Pinot Noir grape, resulting in wines of intense varietal character and well-balanced acidity. On the heels of a picture-perfect 2012 growing season, the 2013 vintage was another beaut. Spring came early and lasted long, with temperate conditions and ideal temperatures. Cool nights and overcast mornings followed by breezy warm afternoons made the summer months ideal for even ripening and good flavor development. Excellent harvest-time conditions allowed us to let the grapes hang until optimal ripeness was achieved. At the winery, the fruit was destemmed, but not crushed, and placed into small open-top fermentation bins and allowed to cold soak before fermentation. Our 2013 Ryder Estate Pinot Noir is a medium-bodied wine with enticing cherry, blackberry and plum aromas with vanilla nuances. Lush and silky, it bursts with red fruit on the palate that leads into a supple, lingering finish. The 2012 Eola-Amity Hills Pinot Noir comes mainly from the Eola Springs Vineyard and new plantings from the Seven Springs Vineyard. 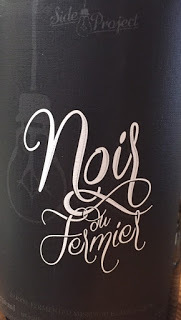 It was completely de-stemmed, undergoes a natural ferment and aged in used French barrels for 14 months. It is bridled with a crisp and focused bouquet with blackberry and blueberry to the fore. There is good vivacity here, with a light touch of brine coming through with aeration. The palate is medium-bodied with ripe black cherry and blueberry fruit, a saline seam that becomes more prominent toward the finish with touches of baking powder and dried orange rind. The length is quite impressive here, that spicy tincture lingering long after the wine has departed. There's few Oregon Pinot Noirs that match the quality for just four ten dollar bills. In stock now at Forsyth! Bad Axe cheese is named after a river near the farm that was the original site of the 1832 Battle of Bad Axe. Aged for 60 days, and then dipped into wax to help retain moisture, Bad axe has a pure, creamy white paste and floral aroma. Flavors are of fresh milk with a tart and a lingering tang. The cheese slightly resembles a fresh mozzarella with its taste and smooth texture. Cut fresh to order, come ask for a taste. The story of Old Amsterdam is a tale of passion and dedication. This characteristic cheese has its origins at the end of the nineteenth century, when a quest for the rich, authentic flavour of yore would lead to one of the best-loved cheese products ever made. 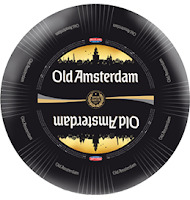 This special cheese was given a special name: Old Amsterdam. The word old relates to the mature flavour but also to the traditional character of the cheese, whereas the use of English is a proud declaration of the export quality of the cheese. The conspicuous black rind was chosen to emphasise the timeless character of the cheese. Fourme d'Ambert is a creamy cheese with a delicate fruity flavor and mushroom overtones. It has a thin, yellowish rind mottled with sandy molds. Its interior is bone white with distinctive bluing. Although its scent is very earthy, Fourme d'Ambert has a creamy, mild flavor with a slight nutty finish. The paste is both soft and smooth. The semi-hard cheese is inoculated with Penicillium, but a less spicy blue mold than that of its cousin, Roquefort, then set to rest in a cave for a minimum of 2 months. The result of this ageing is it magically transformations into a velvety mouth feel full of sweet cream and an earthy, mushroom roundness that will convert even the staunchest blue cheese hater. One of France's oldest cheeses, Fourme d'Ambert dates from as far back as Roman times. Legend says that Fourme d'Ambert was already made at the time of the Druids and the Gauls. "Fourme" is the old French word for cheese from the Latin name "forma", and describes its cylindrical shape. Elijah Craig 12 Year old is almost gone! We warned you this was happening. 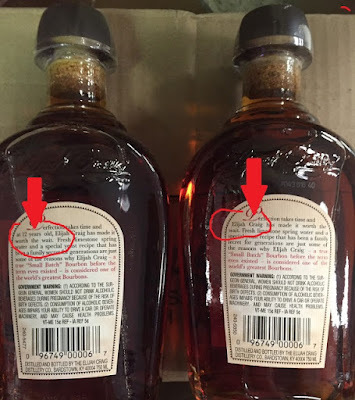 First they took the 12 Year old statement off the front label and moved it to the back in small print. Now the 12 year old statement is gone completely on the current case we just received. 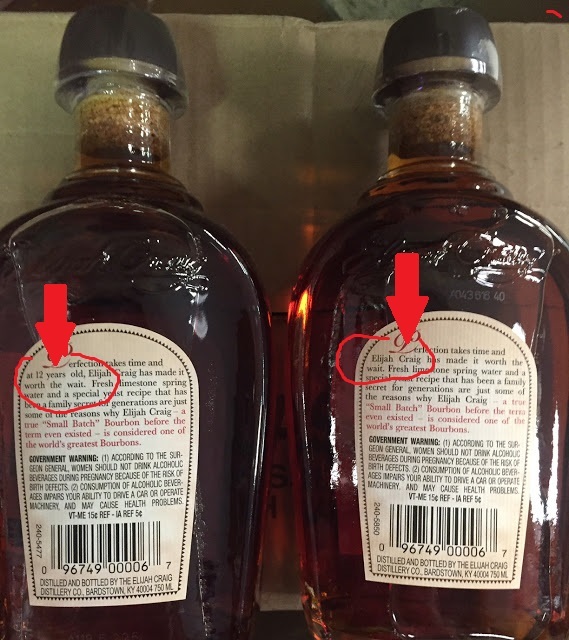 We have about 2 cases left with the 12 year old in the back label and then it is gone. Our Wahoo Wheat is brewed with unfiltered, un-malted wheat and oats that give it a distinctive cloudy complexity.True to the Belgian tradition, this Witbier boasts a refreshing, citrusy flavor thanks to the orange peel and coriander we add to the boil. 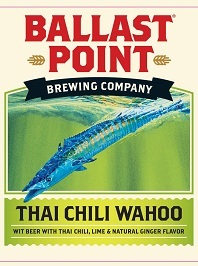 This makes Wahoo an ideal beer for year-round beach weather. Boulevard Hibiscus Gose is here! Back in stock for the Season! Our version of an unusual, yet resurgent, beer style. It pays tribute to the pleasantly sour, slightly salty wheat beers that originated in Goslar and became popular in Leipzig, Germany around the late 1800’s. A great introductory sour beer, Hibiscus Gose receives coriander and sea salt during boiling, then we steep dried hibiscus flowers at the end to create a vibrant pink hue (really, though, it’s pink!). The result is a tangy, sweet and sour ale with a refreshing citrus character. Here's a beer crafted for keeping pace with your ongoing adventures. Frequent Flier is an easy way to IPA, with an extremely drinkable character and relatively low bitterness tucked behind big, fruity hop aromas and flavor. Our Ovila® Abbey Ales series is a collaboration with the monks of the Abbey of New Clairvaux in Vina, CA. Each beer is a modern twist on a traditional Belgian-style abbey ale—monastic inspiration and American innovation. These rotating Ovila Abbey Ales highlight, when possible, local ingredients grown and harvested by the monks on their nearly 600-acre working farm. 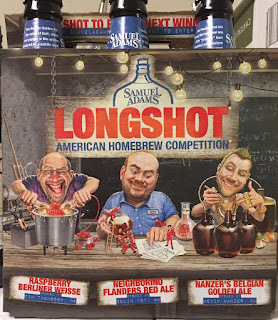 We hope you enjoy these one-of-a-kind collaboration ales. The bottle release will be on Wednesday April 13th. The BRC report will be printed Monday night at 7pm. Purchases will count towards this release until 7pm Monday night. Our Random Pop up has been a great success. We started at the beginning of March and since then over 20 people have scored an allocated beer like Side Project Merci. It might say you qualified for an extra bottle of the next BRC release. We will play with the system and have fun with it. Thanks. I added 1 random person that will say "Golden Ticket". If this pops up when you check out. You can choose what beer you want that has not been released. When I post a release is coming you must email me before the release saying you want to buy that beer. Could be Cantillon FouFoune, the next Side Project release we get or then next Barrel Aged 2nd Shift, or KBS, Goose Island BCS.....I will just need notice before I send out BRC emails for that release. Château Bonnet welcomes all wine lovers into the luxurious world of Bordeaux. Very Sauvignon, this wine of André Lurton at an affordable price, is an example of "everyday wine": succulent aromas of pear and tropical fruit, nervous and expressive on the palate, clean finish and well-defined . Intelligent, vibrant easy to drink yet. It offers the best of both “Old” and “New” worlds. 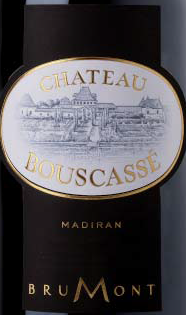 It is château grown and bottled in the legendary “terroir” of Bordeaux, France by famed producer André Lurton. Moreover, all of Château Bonnets are sealed by a screw-cap, making them easy to close, store, and travel with. With its approachable taste profile and modern packaging, Château Bonnet is a high quality, accessible wine. André Lurton is one of the top three land holders in Bordeaux. Château Bonnet is the largest estate in the region, and André Lurton’s number one brand in the United States. 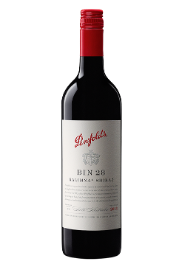 Penfolds at a great price!! Deep garnet-purple colored, the 2013 Shiraz Kalimna Bin 28 has a wonderfully exuberant nose of ripe blackberries and blueberries with cracked pepper, roses and asphalt nuances. 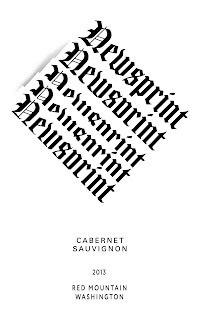 Medium to full-bodied and open-for-business now, it provides plenty of earth-laced black fruits flavors with a good amount of chew and a long finish. Donati - great 2013 just released!!! Fermented in 100% stainless steel. This wine offers tropical and citrus aromas, having a soft creamy mid palate and a delectable crisp finish. It is a our pleasure to share this wine with you in the hope that you can enjoy it with the sister, family or friends in your life. More of these half bottles at an amazing price!! The cool vintage of 2011 allowed us a rather different approach in the vineyard than we normally get to have. Cool temperatures allowed a long hang time of fruit on the vine, contributing to ripe, yet elegant aromatics. It has notes of chocolate, blackberry and fresh black pepper on the nose. The textures are far silkier than recent vintages, creating a vibrant wine with flavors of toffee, vanilla, blueberry and currant. 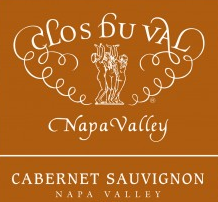 The tannins are well integrated, creating a wine for which Clos Du Val is known; balanced, elegant, and classic. Always searching for new challenges, Dominique Lafon started his own label - separate from the family domaine - in 2008 and currently works approximately 4.5 hectares in Meursault, Puligny-Montrachet, Volnay, and Beaune. 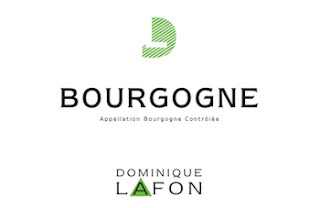 Legally, the DL brand has négociant status but this is only because Dominique shared space with a négociant and only very rarely buys grapes. The wines are vinified in the cellars of Domaine Manuel in Meursault, as Dominique wishes to keep his activities at the family domaine and DL separate. DL gives him an opportunity to experiment with his style and build on what he learns from each vintage. Dominique would define the style of the DL wines as having a bit more tension than those of Domaine des Comtes Lafon. The élevage on the DL wines is shorter and the plots are mostly located on the upper part of the hillsides, which gives the wines an interesting minerality and tension. 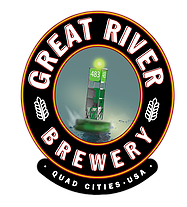 Great River Brewery's roots began with a love for great craft beer. College friends Paul Krutzfeldt and Scott Lehnert spent their college years thinking about beer, drinking beer and devising a beer plan. In 2004, the put the pedal to the metal and started a brew pub in Iowa City, Iowa. In December of 2008 the entire brewing operation was moved to Davenport, Iowa with hopes of starting their lifelong dream of packaging their hand-crafted beers. On a chilly day in February 2009, the first batch of beer was brewed at the new location on the Mississippi River. Packaging began in May of 2010, with 483 Pale Ale and Roller Dam Red Ale in 16 oz. cans. Production is now at just under 3,000 barrels a year. That's 744,000 pints of delicious beer. Generous amounts of Northwest hops, dry hopped again for layers of fruit citrus and spicy earthiness. Nice bitterness and a good long aftertaste with a smack of grapefruit. A chocolatey, robust, rich and nutty ale dominated by a complex malt flavor. Pours opaque black with a dense beige head. Flavors of caramel, chocolate and the creaminess of lactose and roasted malt. The result is a velvety palate of soothing sweetness. A delicious malty ale with a hint of caramel and a peppery hop finish. A golden ale (low on hop presence) brewed with bittersweet chocolate. It’s has a balanced, malty sweetness and a decadent chocolate character. Four Graces Pinot Gris on sale!